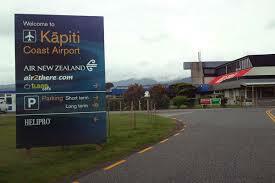 There will be plenty to look at on the Kāpiti Coast Airport Open Day. Over 20 aircraft will be lining up on the tarmac for static display at the event being held on Sunday 5 August, 10am-3pm. 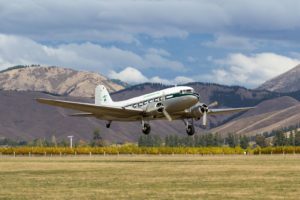 Air Chathams and Kapiti Heliworx are taking pre-bookings for scenic flights over Kāpiti on the day and Air Chathams’ 20 minute historic DC3 aircraft flights have booked up quickly with several flights already full. The airline is advising people who don’t want to miss out, to book ahead online by going to Chathams’ website www.airchathams.co.nz or calling 0800 580 127. Depending on the weather on the day, Heliworx is also planning to offer a special 12-minute Transmission Gully flight or their 10-minute coastal flight. Their aircraft will also be on static display when not flying. As well as Air Chathams’ Saab 340 (See alongside), the Airport is expecting a range of other aircraft including: a Catalina (an amphibious aircraft), L-39 Albatross Jet, Harvard, Tiger Moth, Sounds Air’s Pilatus PC12 and Cessna Caravan, helicopters and a mix of various other light aeroplanes. The Life Flight rescue helicopter is planned to be on-site for the day with Wellington Free Ambulance and the Fire Service also on deck. There’ll also be other pop-up displays around the hangar, including the Aviation Museum, the Civil Aviation Authority and Waikanae Air Scouts. The Kapiti Air Training Corps will be out in force as part of the volunteer team for the day.